Cygnet Agrocompany invested $2.3 million in upgrading its agricultural machinery and tractor fleet and equipment at the sugar plant in 2018, according to a report on the company’s corporate social responsibility for 2018. In particular, investment in agricultural machinery and tractor fleet amounted to $1.46 million, while $871,000 was spent on upgrading the equipment of the sugar factory in Zhytomyr region, the report said. This allowed the company to reduce natural gas consumption at the enterprise by 10%. As reported, investment in the modernization of the sugar refinery in 2017 amounted to $2.7 million. Investment in upgrading the company’s agricultural machinery and tractor fleet amounted to UAH 78.9 million, or $2.8 million. Cygnet’s sugar refinery completed the production season in early December 2018, reducing production to 28,700 tonnes of sugar (13.8% down from the previous season). 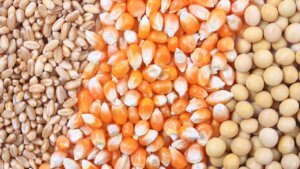 The company’s grain facility received 292,000 tonnes of grain (29% up from 2017). Cygnet processes about 29,000 hectares in Zhytomyr and Vinnytsia regions, where it grows maize, soybeans, winter wheat, sugar beets. Its storage facility is able to store 60,000 tonnes of grain simultaneously. 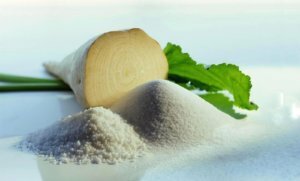 Its sugar refinery is able to process up to 2,800 tonnes of sugar beets per 24 hours. Both facilities are located in Zhytomyr region. The company is also engaged in milk production, has 605 cows. It sells milk to local processing companies. The Antimonopoly Committee of Ukraine has permitted Cygnet Center LLC, part of the Cygnet Group, to acquire a stake in the charter capital of private enterprise Ruzhynsky Krai (both based in Zhytomyr region), which would grant over 50% of the votes in the management body of the agricultural company, the committee has reported on its website. “The committee permitted the company to acquire a private enterprise. After this acquisition the land bank of the Cygnet Group would expand by 5,500 ha, to 29,000 ha,” CFO of Cygnet Group Volodymyr Bondarenko told Interfax-Ukraine. Cygnet was founded in 2011. The group cultivates around 24,000 ha in Zhytomyr and Vinnytsia region where it plans corn, soybeans, wheat and sugar beets. The group also has dairy business (around 700 cows). The silo capacity is 60,000 tonnes. The group unites Cygnet Holding LLC, Cygnet Center LLC and Cygnet Milk LLC. Cygnet agricultural company plans to invest $700,000 in reconstruction and modernization of its sugar refinery in Zhytomyr region in 2018. According to a posting on the company’s website, the works are intended to increase efficiency of the sugar refinery to 2,750 tonnes a day, reduce gas, limestone, coal, raw materials consumption and boost the quality of finished products. Overhauls and current repair would start in the first half of April. 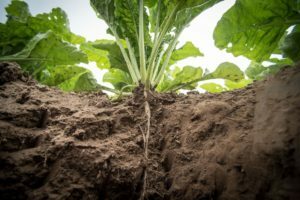 The company also said that Cygnet sowed 59% of areas with corn, 14% with soybeans, 14% with sugar beets and 10% with winter wheat. As reported, Cygnet in 2017 invested $2.7 million in the modernization of a sugar factory in Zhytomyr region. The company cultivates 25,000 hectares in Zhytomyr and Vinnytsia regions, where it grows corn, soybeans, wheat, and sugar beets. Cygnet also has a dairy business line (about 700 cows), its products are sold to local processors, and the elevator capacity is 60,000 tonnes.